If you have a sweet tooth, you can rely on these delicious low glycemic fruits to satisfy your craving and keep your health on track. We’ve all had the cravings for something sweet. Unfortunately, our primary choices are usually not the healthiest ones. Living with diabetes means that you have to take your health into consideration when making these choices, and relying on low glycemic fruits as a healthy snack may just be the right thing to do. Fruit has gained a bad reputation because of the sugar content it may have but, truth is, they have certainly earned their good spot as part of a well-balanced and nutritious diet. In the case of low glycemic fruits, the advantages are just too many, like to pass out on a delicious and tasty piece of a seasonal good. Whether you have experience counting your GI before your food intake, or you just started to learn about it, the following tips and tricks will help you identify which are the high glycemic fruits to avoid and which are your best options. The glycemic index or GI, is a numerical unit given to a food product and that serves to describe how far your blood sugar levels will raise after eating it; the system works by using a scale from 0 to 100, where the 100 representes pure glucose. All these fruits score below the 55 point mark on the GI scale, making it a great and healthy option to include in your daily food intake. This list of fruits for diabetics to eat is rich in nutrients, vitamins and antioxidants, and in many cases can be added both to savory dishes to enhance your palate and create a gourmet experience from a simple at-home meal. And while this is a safe-zone list of fruits for diabetics to eat without compromising their health and their sugar levels, it is important to have a clear picture of high glycemic fruits to avoid whenever possible in order to prevent an unhealthy – and even risky – situation. These high glycemic fruits to avoid include ripened bananas, raisins, pineapples, dates, figs, sultanas, cherries, mangoes, watermelons, cantaloupes and papayas. Just as equally dangerous are canned fruits and dehydrated fruits, which are contained in sugar-packed syrups and preservatives, and have lost most of their nutritional value. It is important to know that while relying on a list of fruits for diabetics to eat is helpful, you will need to keep in mind that moderation is key to everything. Remember that each point mark on the GI scale system correspond to a specific serving amount. This means that, while eating one serving of strawberries will be healthy and within your parameters, eating 3 or four servings at a time may actually raise your sugar levels rapidly. Just as important as moderation on your serving portions is, it’s important to take into consideration your current blood sugar levels before the intake of these fruits, whether or not you will be combining it with something else (yogurt, nuts, nut butters, etc. ), and what time of day are you choosing to ingest it. 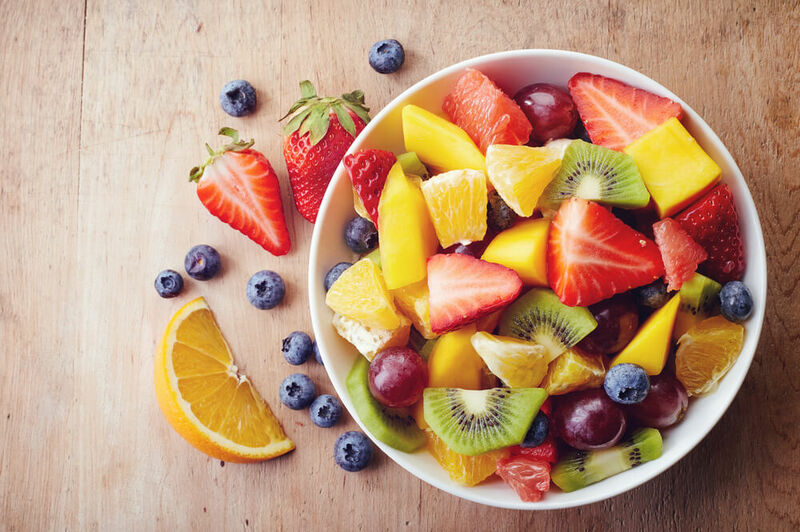 Having your dose of fruits in the morning or early afternoon, allows your body to metabolize the sugar intake properly and avoid any health scares in the middle of the night. Maintaining a healthy balance between your vegetables, fruits, carbs and – of course and most importantly – protein, will ensure that your glucose levels remain stable and that you are able to enjoy time with your loved ones without having to stress about your health.